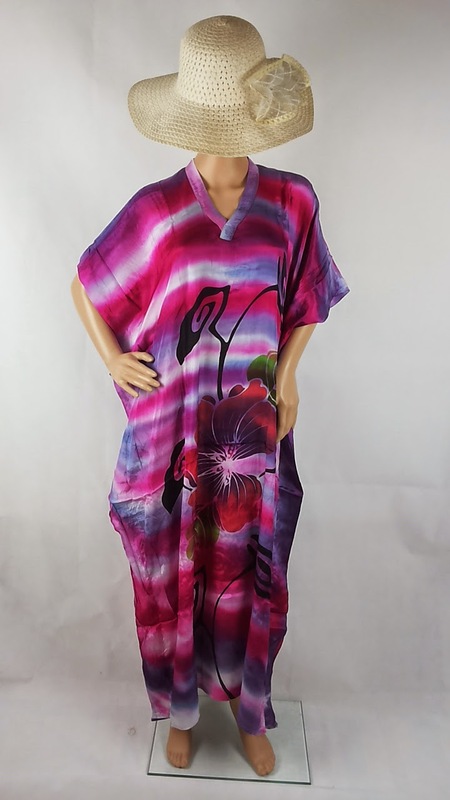 Classic tjanting with hibiscus flower batik kaftan - pink & purple. Fuji / Viscose Rayon Material. Malaysian batik.